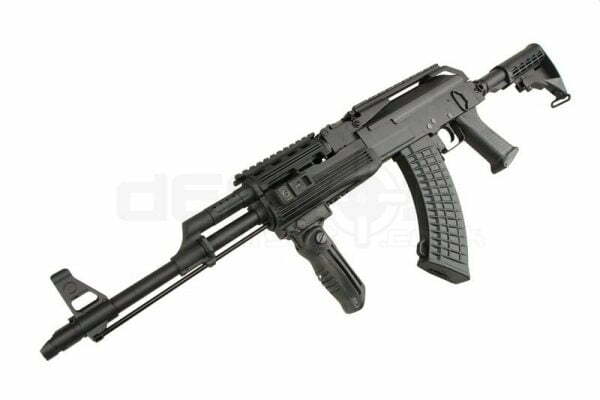 The Full Metal AK47 RAS Tactical Rifle, with its full metal receiver and solid outer barrel assembly, tops most AEGs when you’re talking about reliability, efficiency and performance. 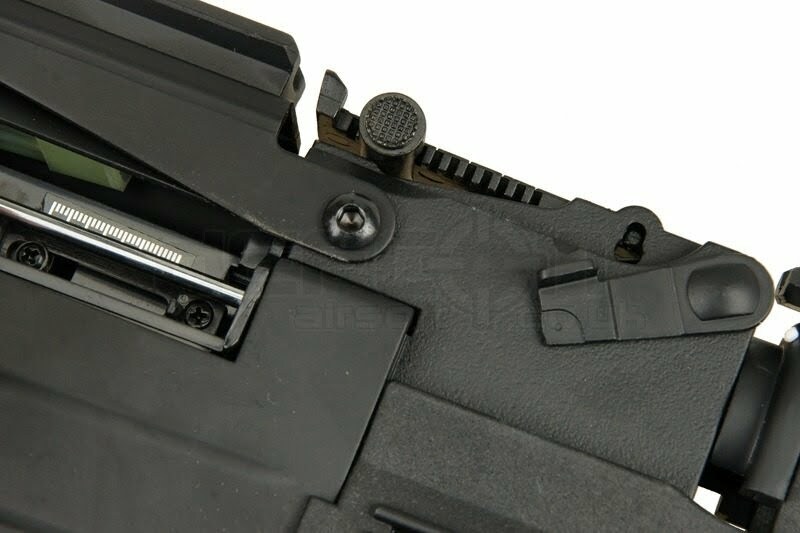 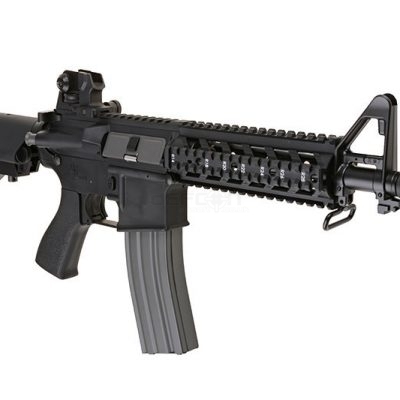 With its integrated rail system you get access to about 12 inches of rail space covering the handguard, which already includes a foldable foregrip, and allows you to include more devices like lasers and flashlights, and a top leading rail which lets you mount scopes without needing to set up an AK scope mount. 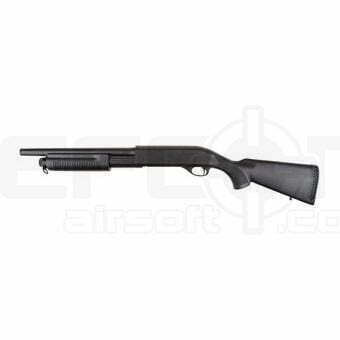 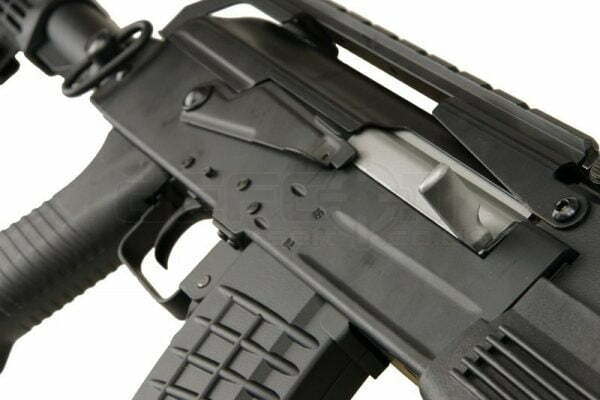 The retractable stock allows for any player to go from woodland or outdoor games to a CQB battle with ease. 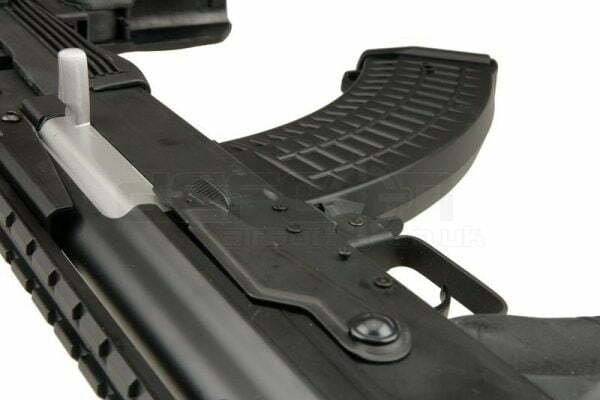 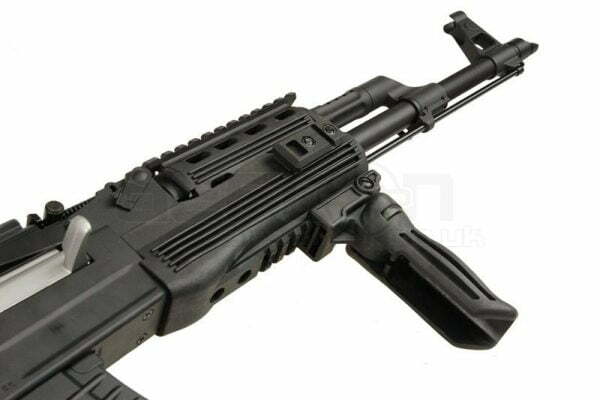 Last but not least, the polymer handguard gives the rifle an unique and tactical appearance, while stepping far from conventional wood handguards. 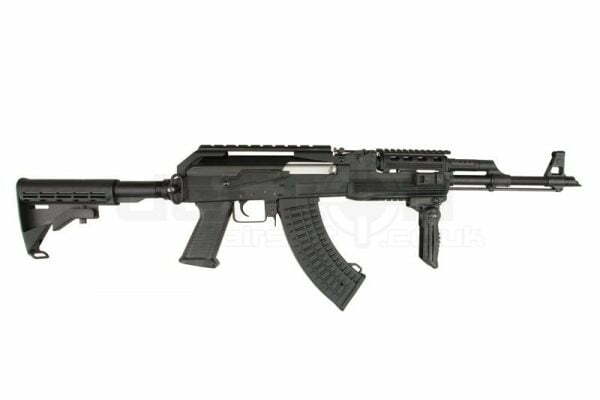 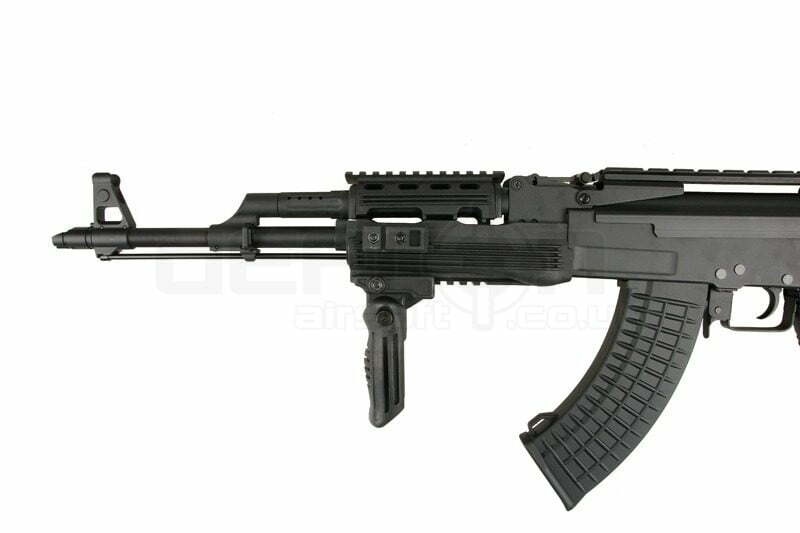 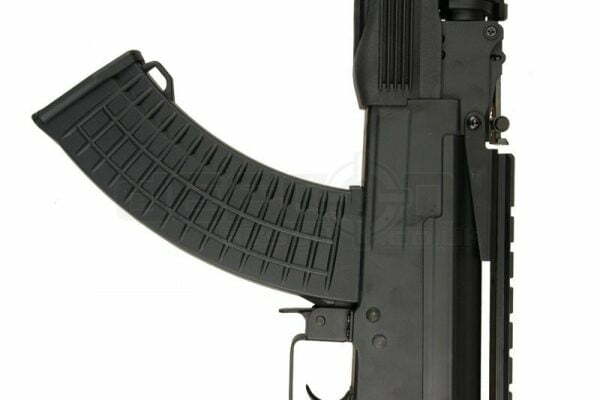 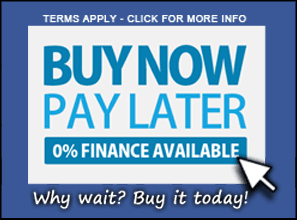 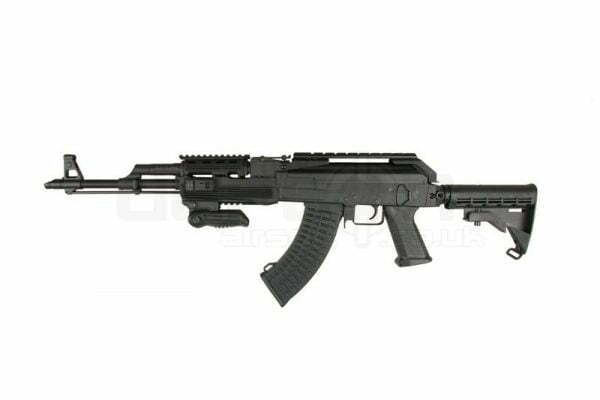 If you’re trying to find a complete metal AK-47 with rails, the CM039C is for you! 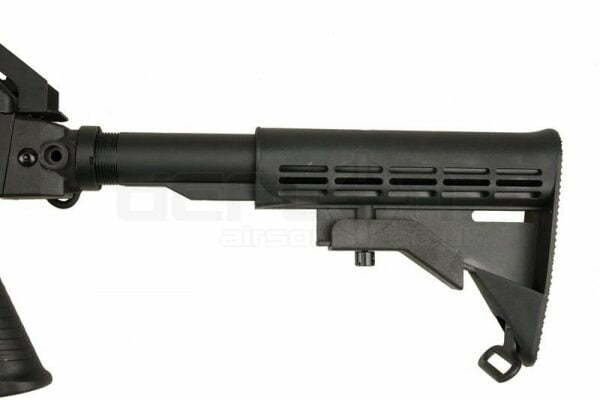 Muzzle Speed: 345 FPS (w/ 0.20 g BBs). 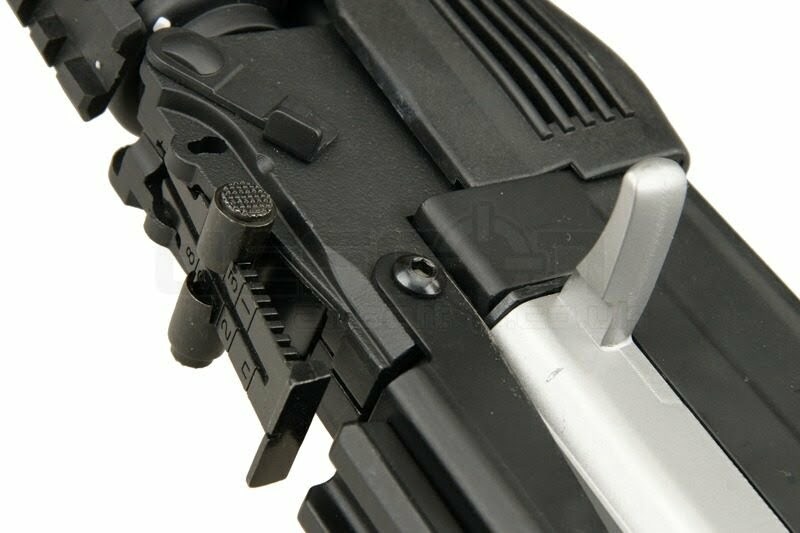 Gearbox: Complete Metal Version 3. 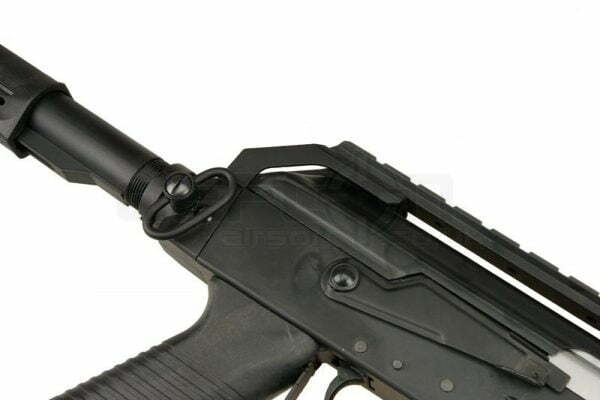 Magazine: 550rd High Capacity (equipment wind-up). 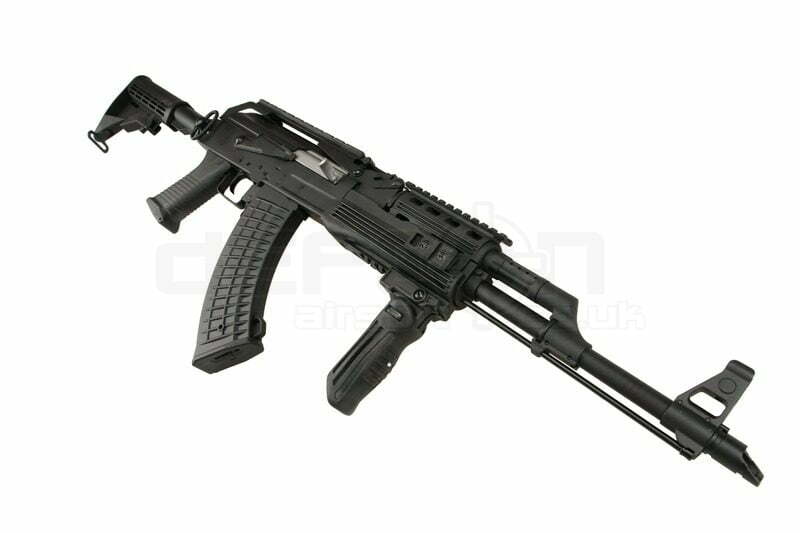 Battery Type: 8.4 V Stick.